The Indian women's team defeated Belarus 1-0 in their second Pool A encounter at the Women's Hockey World League Round 2 on Sunday. It was Vandana Katariya who scored a stunning back-handed field goal in the 26th minute to help India win and top the table in Pool A giving them an entry in to the Semi Finals. Both teams began on a strong note and were equally poised in the first quarter as they traded a PC each but neither teams were successful in converting them and entered the second quarter in a stalemate. While India continued to show good defensive skills to hold the lead, their attack was commendable too as they made brave forays into the striking circle in the following two quarters. India earned as many as three PCs in the third quarter but couldn't convert. Belarus, on the other hand, came close to scoring in the 58th minute to equalise when they won a PC. 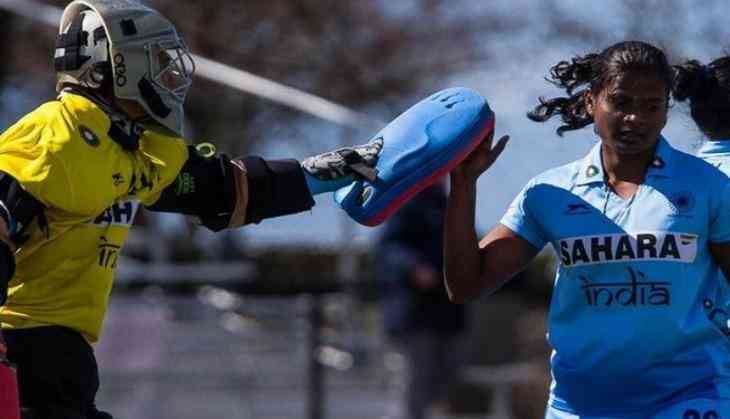 But Savita continued to impress with a diving save to help India win the match. India had earlier defeated Uruguay 4-2 in a thrilling shootout in their opening match. India will play their semi final match on April 8.